If you're any kind of datamonkey, you get asked to fix everything computer related when it breaks. Yesterday my boss aked me why her computer typed two of every letter whenever she pressed a key. I have no idea, but I'm thinking it's not a design feature... reboot time. 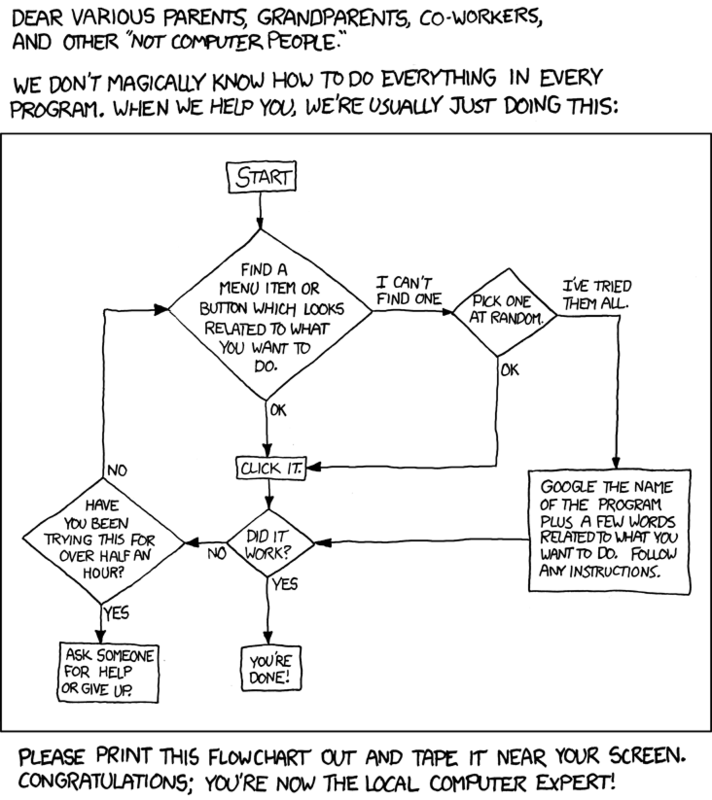 This, from XKCD, is brilliant.